WORLD PUPPETRY DAY 2019 – Cat parade from UNIMA on Vimeo. 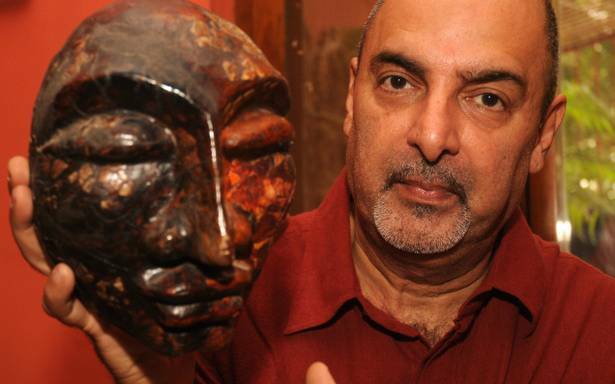 Dadi D. Pudumjee is one of India’s modern creative puppet artists and directors. Starting puppetry as a hobby in his hometown of Pune, India, he graduated in economics and later joined the NID-National Institute of Design in Ahmedabad, India, in the department of Visual Communication. In Ahmedabad, he joined the puppetry section run by the late Meher R. Contractor of the Darpana Academy of Performing Arts, where he developed his hobby of puppet theatre and made it his professional practice. In 1972 he attended the international world puppet festival in Charleville Mézières and also the UNIMA congress. This brought him into contact with many puppeteers and their art, a legacy that he carries forward to this day. In 1976 he received a UNIMA Sweden and Swedish Institute scholarship to be a guest student at the Marionette Theatre Institute in Stockholm, Sweden, under Michael Meschke. Whilst there, he also partici- pated in a training workshop in Bunraku puppetry/manipulation under the guidance of master puppeteer Sennosuke Yoshida, from Osaka in Japan. He later joined Vår theatre Barn och Ungdoms, a Stockholm-based children’s and youth theatre under the directorship of Gunter Wetzel, as a pedagogue in puppetry and creative drama. Since then he has worked as guest director for Puppen Theater – Berlin German Democratic Republic (1979); as founder and artistic director of Sutradhar Puppet Theatre – India (1980-1986); as founder and director of Ishara Puppet Theatre, Delhi (from 1986). 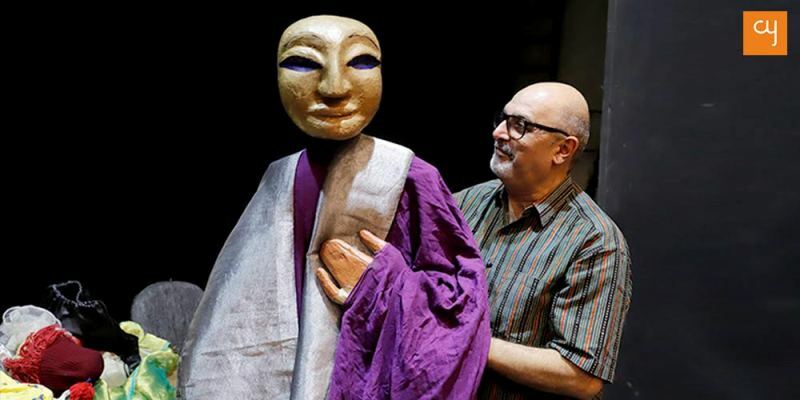 He is now the managing trustee of the Ishara Puppet Theatre Trust and additionally the curator of the annual Ishara International puppet festival Delhi, which hosts its 17th season in 2019. He has created puppets for many TV shows and serials, exhibitions, pavilions, dance shows, operas and celebrations. He was the curator of the Man Mind and Mask Exhibition for IGNCA 1998 and Putul Yatra exhibition of puppets from the archives of the Sangeet Natak Akademi Delhi for Tolosa (Spain). He was the coordinator of UNIMA Asia Pacific commission meeting in Chennai 2002 and UNIMA Executi- ve meeting Delhi 2004. He has been both coordinator and workshop leader in puppetry and associated arts for various agencies, schools and institutions in Delhi and abroad and mentored students for UNIMA India’s master classes and its foundation course. He was the director and project leader for the UNESCO EU project on HIV/AIDS and substance abuse with SBT DELHI (Salaam Baalak Trust Delhi), using puppetry for HIV awareness and awareness of substance abuse in and around Delhi. More than 100 shows of three performances related to this project – “Chunouti the challenge”, “Nazre Kholo” and “Chakravyu” – have been performed in Delhi, Chandighar, Mumbai, Dhera Dhun, for schools, communities, NGOs etc. Dadi Pudumjee and the Ishara puppet Theatre Trust have performed, presented papers and conducted workshops in Japan, Australia, Indonesia, China, Sri Lanka, Russia, Uzbekistan, Iran, Sweden, Denmark, Germany, Switzerland, Spain, Italy, Germany, UK, Scotland, Canada, USA, Brazil and Mexico. Past President UNIMA Asia Pacific Commission. Founder Editor UNIMA India newsletter Sutradhar. 2019 Member of the General Council Sangeet Natak Academy. Trustee National Folklore Support Center Chennai. 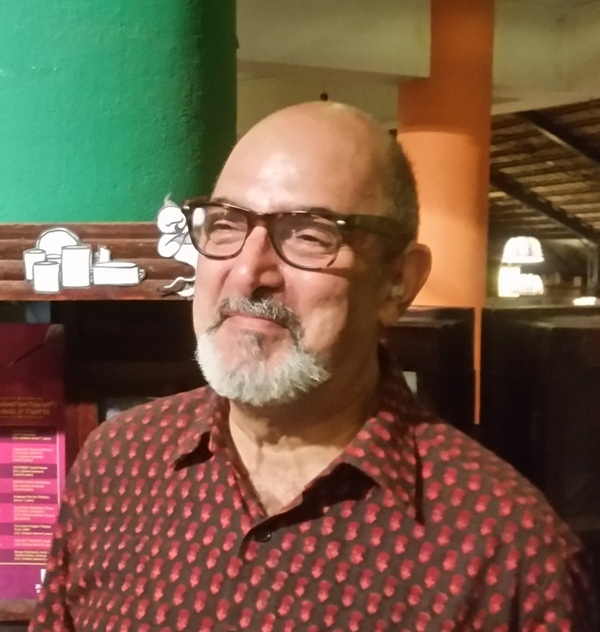 Member of Parsi Zorastrian Project –Tangible cultural heritage preservation project UNESCO. Sangeet Natak Academy- National award for work in puppetry. 1992. Sanskriti Pratisthan award for puppetry, Delhi. Delhi Natya Sangh award in Puppetry. Delhi Parsee Anjuman cultural award.